The franchising era has brought on a ton of scrutiny from the European fan base since its announcement earlier this year. With the EU LCS’ rebrand into the League European Championship next year, the promotion and relegation aspect of LCS is completely gone; and now, the top ten LEC teams remain locked in to pursue their dreams of being crowned the best team in their region. With new changes comes a vast amount of uprooting for players and coaching staff alike, as even top teams like Fnatic and G2 Esports have struggled to maintain all their talent that got them to semifinal berths in 2017. This move to diversify the European scene from the rest of the leagues is long overdue given Europe’s rich history in the sport. Now, all eyes remain solely on Europe as they look to bounce back from a monumental season for the region and make their second run as a region capable of winning the ultimate prize. Schalke were just a few wins away from turning their fortunes around completely last year and reaching the World Championship for the first time in their history. Although the dream wasn’t realized, Schalke have made serious changes to ensure success next time around, and those moves started with the poaching of Dylan Falco from Fnatic early in the transfer window. It looks like FC Schalke are putting all their chips on their ADC prodigy Elias “Upset” Lipp once again this year as he remained the sole player on their roster from last season. Adding Jonas “Memento” Elmarghichi is a huge positive to their move given his stellar play for Team Roccat as well. Schalke have also been confirmed to sign both Andrei “Odoamne” Pascu and Lee “IgNar” Dong-geun for the 2019 season, with Felix “Abbedagge” Braun filling out the roster in Mid lane. exceL Esports have been pretty mum on the roster announcements since their official introduction to the league just one week ago. While their roster hasn’t been teased at all, the coaching staff of this team is looking to follow their office staff as multiple coaches and personnel from the United Kingdom have been picked up to lead the team in 2018. With Alphari already off the books and on his way to Origen, exceL have missed out on premier UK talent to add to their ranks. But there’s still enough time to build a proper LEC team with all the other talent that has been kicked out their old teams from last year, i.e. Hjarnan and Wadid from G2 Esports. Fans of Fnatic are still reeling after their disappointing loss in the Grand Finals of the World Championship this year. Now that their team has basically imploded, the expectations for what was a World Class roster last year are completely in limbo. Keeping their star prodigy Gabriël “Bwipo” Rau on the books for next year was an excellent first step, but losing world class talent in the mid lane will not be an easy hurdle to overcome next year. Fnatic do have the benefit of having one of the more established orgs in the LEC right now, and using a bit of that reputation may help them out immensely as they search for top tier coaching and Mid lane replacements to fill in some much needed space down the stretch. Misfits Gaming were also one of those unlucky teams that barely missed out on a World Championship spot in the gauntlet last season. After impressing mightily during their 2017 run, last year was a year of regression for Misfits and now they are on the prowl for improvement with their new roster. Starting with their Support acquisition, bringing in Kang “GorillA” Beom-hyeon from LCK may be the biggest move of the offseason if he and Hans Sama can get off on the right foot this year. Misfits have built their team around their star AD Carry for some years now, but having GorillA on his signature playmaking champions will make him that much better in 2019. Misfits also announced the signings of Paul “sOAZ” Boyer and Fabian “Febiven” Diepstraten to their ranks along with their GorillA signing. These solo laners paired with their newly extended jungler Nubar “Maxlore” Sarafian will provide a spark early on. Look for Misfits to continue competing with the best of them next year, even if it takes a little time for synergy to establish itself. G2 have made the most noise of any other team this offseason. After going out on their shield in the semifinals of the World Championship this year, it was obvious they possessed two solo laners with the ability to compete on the Worlds stage, but the rest of the team needed to be on the same level. With that in mind, G2 pulled off the biggest coupe of any team this offseason as they picked up Rasmus “Caps” Winther from Fnatic within the first few hours of Free Agency being announced. The subsequent move of Luka “Perkz” Perkovic to ADC and their rumoured acquisition of Mihael “Mikyx” Mehle at Support gives G2 a massive advantage over other LEC teams with star players at every role. Look for G2 to dominate from the outset as soon as their number is called next year. Origen and Astralis have paired together to make this LEC buyout happen for the 2018 season. Behind the scenes, great former pro players such as Martin “Deficio” Lynge and Enrique “xPeke” Martinez have taken the reins as talent developers for the team, and given xPeke’s track record within the sport you can guarantee he will be up for the challenge. Origen have announced three players so far with Barney “Alphari” Morris, Erlend “Nukeduck” Holm and Patrik “Sheriff” Jírů all joining the fold. While this team doesn’t necessarily stand out on its own, the potential for success is still very high for a team that is cash strapped and ready to compete for its first season back on the European stage. Look for more signings to come, and with that, some high level Korean imports are surely on the horizon. Splyce were in a weird spot heading into this offseason after giving their entire team permission to seek out other options given their status for LEC was in question. Now that they are guaranteed a spot, Splyce have been scrambling for team options now that most of their players are in serious talks with other teams. Its rumoured that Splyce remain in talks to keep their highly sought out jungler and top laner. Andrei “Odoamne” Pascu has been in discussion with a few LEC teams but the rosters have not been finalized just yet. After too many years out of the scene, SK Gaming finally make their return to Europe as part of the LEC for 2018. SK Gaming has endured one of the more turbulent runs as an organization through its years in the league. Season three and four saw large amounts of success as they were regularly competing for World Championship spots, but their drop off in relegation in following seasons made it harder to gain popularity and with that, the org never resurfaced. Now in the League European Championship, SK Gaming have a new lease on life if they can put together a roster worth competing in the league. As of right now, SK Gaming have only announced the signing of Ram “BrokenShard” Djemal as their Head Coach. Team Vitality are more than likely keeping their core roster together for next season as 3 of the five starters and the Head Coach have all agreed to contract extensions. 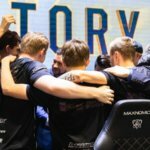 Vitality enjoyed a fruitful World Championship this past year although they didn’t make it out of groups, and this next year of competition will be crucial to their success as a historically high ranking European organization. If Vitality continue to pick up where they left off, look for them to get out to an early lead in the standings and possibly even compete for first place. Rogue Gaming is traditionally a North American organization with roots in CS:GO and various other eSports, but this Steve Aoki invested League of Legends team is now on the hunt for success in other ventures. Many fans have speculated on the ability for a North American org to operate on the European circuit, but once competition gets underway all those questions will fall by the wayside. As of right now, roster moves have been nonexistent for the team. Apart from signing former Gambit Gaming Support Edward Abgaryan to their Assistant Coach position, Rogue has been quiet on that front waiting for more players to trial for the team, only rumoured to pick up Mateusz “Kikis” Szkudlarek in the jungle so far.